J. Scott Coatsworth’s at my LJ today sharing how Queer SF came up with the theme of ‘Flight’ for the 2016 flash fic anthology. 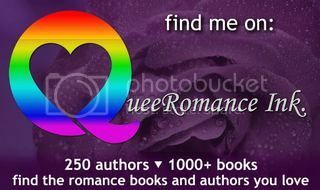 I’m hosting Dev Bentham on my LJ today as part of her book blast with Embrace the Rainbow Book Promotions for Bread, Salt and Wine which is book 4 of her Tarnished Souls series. There’s also a rafflecopter giveaway.